Pacific Sky Aviation Inc. (PSAI) provides Transport Canada approved flight training, operates a corporate flight department, conducts Twin Otter production flight testing and ferries Twin Otter aircraft to customers throughout the world. With facilities in Victoria and Calgary, we are expanding our company with the announcement of the opening of an additional flight training centre located at Calgary International Airport. The training centre will house a state-of-the-art Twin Otter Level “D” Full Flight Simulator and Seaplane Trainer and a flat panel Integrated Cockpit Procedures Trainer (IPT), as well as state of the art classrooms, briefing rooms, staff offices and a customer lounge. Visit www.pacificsky.ca to learn more about us. Reporting to the Program manager, the e Learning Instructional Designer will work with our Subject Matter Experts (SME) team to develop training modules for our Pilots and Maintenance Distance Learning Platform. •	Accountable for designing and developing instructor guides, participant guides, quick reference cards, training videos, presentation scripts, checklists, tests, evaluation forms, written role plays/ exercises, video demonstrations, simulations and games, content design and layout, interactive multimedia etc. •	Analyze test results, evaluations and reports to determine trends and respond with follow-up information where required. 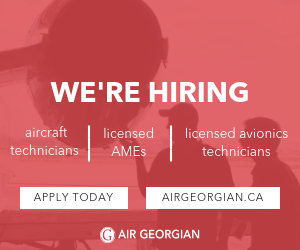 This position is contractual and based in Victoria, B.C. We offer a competitive compensation and attractive benefits at workplace with a clear mission for customer service, a fun working environment, and where people are respected and work together.